Everfresh Food Corporation was born out of the need to supply the growing Asian and European immigrant population in the Chicagoland area. Over 40 years ago, what started out as a family-owned business specializing in wholesale Asian produce, our business grew to become an importer, manufacturer and distributor of Asian specialty foods and European Imports. Located in Morton Grove, Illinois our 80,000 square-foot facility includes a state of the art kimchi factory and a rice cake factory producing gallons of deliciously fermented kimchi and fresh chewy rice cakes every day. We are also one of Chicago’s leading soybean sprout producers, distributing to restaurants, grocery businesses, and other food service providers in the Midwest region. Some of our other exclusive imports you may recognize include Sugar Dandy Korean Sweet Potatoes to Taebong Korean Pear. Everfresh has become one a leading produce wholesalers importing hard-to-source Asian produce and ingredients straight from South Korea and all over the U.S. We take great pride nurturing relationships with our customers, supplying small and large businesses. We work hard for your business’ growth and success. It is our mission to provide new products, expand sales channels, and invest in new technologies that will exceed our customers’ expectation. 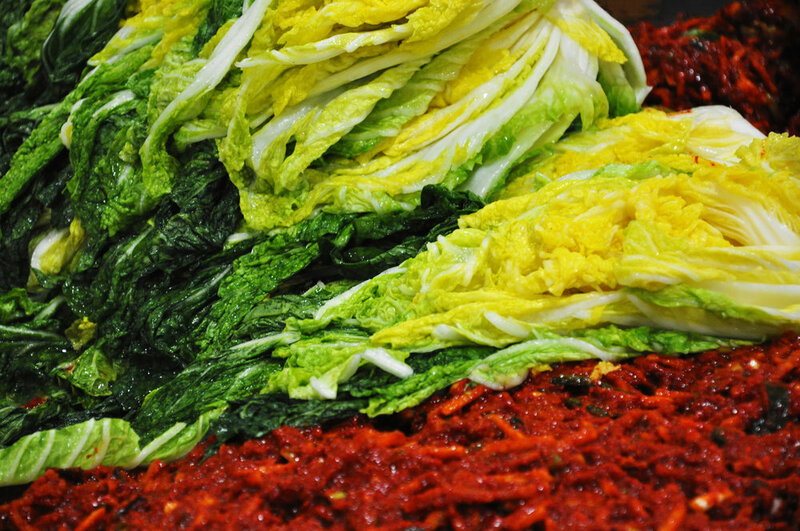 As one of Chicago’s leading Asian food providers, we take great pride sourcing quality and authentic ingredients imported from Korea for our manufacturing and distribution channel. Our customers and the passionate team behind Everfresh is the heart of our business and we strive to work with your business needs on every level. Our dedicated team is here to help you and your business grow. We are experts in sourcing, importing, manufacturing and distributing. Reach out to one of our food experts and learn more about how our services and products can help your business grow. © Everfresh International Corporation 2019. All rights reserved.